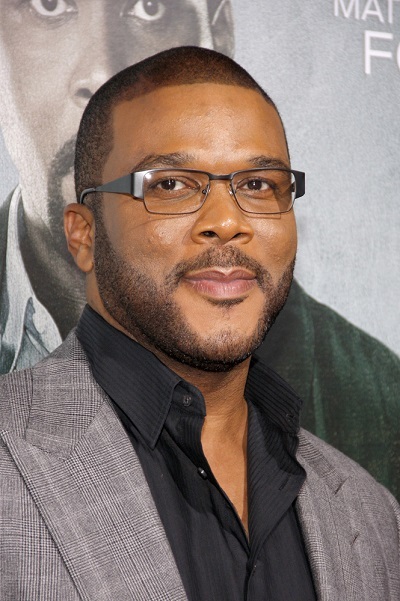 Birth Name: Emmitt Perry, Jr.
Tyler Perry is an American actor, comedian, filmmaker, writer, and director. He is also a songwriter in the gospel genre. He is known for his character, Mabel Simmons (popularly known as Madea). Tyler’s mother was named Willie Maxine (Campbell). Tyler has stated that as an adult, he discovered, using a DNA test, that the man he thought was his biological father, Emmitt Perry, Sr., was not his biological father. Tyler has a son with his partner, Ethiopian model and social activist Gelila Bekele. He was the son of Emmitt Perry Sr. and Willie Maxine Campbell, but Emmitt Sr. is not Tyler Perry’s biological father, his is this link that shows proof that Emmitt Sr. and Tyler Perry that they are not related biologically – http://madamenoire.com/411046/tyler-perry-father/. I’ve been researching more about Tyler Perry’s family and I’ve found a couple of websites that has his mom in it, Willie’s obituary (http://m.legacy.com/obituaries/theadvocate/obituary.aspx?n=willie-maxine-campbell-perry&pid=137150585&referrer=0&preview=false) and Willie’s burial (http://www.findagrave.com/cgi-bin/fg.cgi?page=gr&GSln=Perry&GSfn=Willie&GSmn=Maxine&GSbyrel=all&GSdyrel=all&GSob=n&GRid=45266742&df=all&amp;). He doesn’t look creole at all. He looks mostly African with some European admixture. Not a lot tho. At least he’s admitting he’s just Black. So many self hating Black people in the entertainment world want to be anything but Black! Usually, the people who are has something else in them.